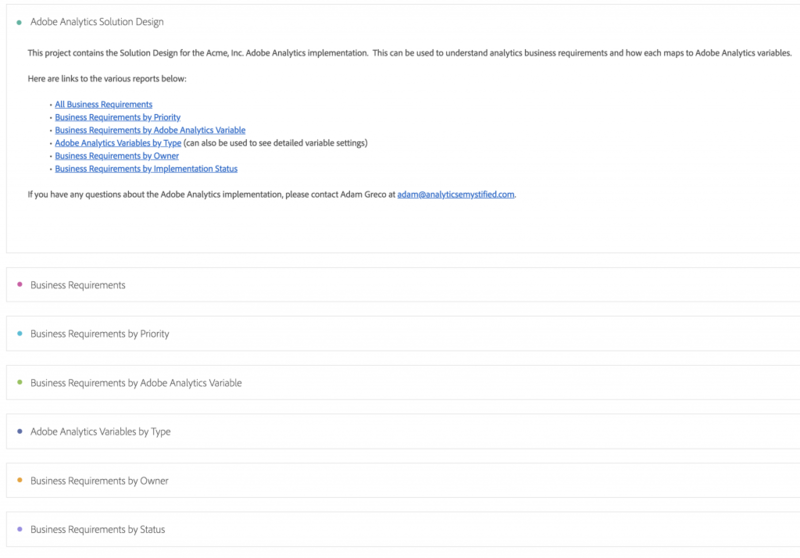 When I start working with new clients, I am shocked at how few have their Adobe Analytics implementation adequately organized and documented. One reason for this, is that requirements documents and solution designs tend to live on a [digital] shelf somewhere, and as you know, out of sight, often means out of mind. For this reason, I have been playing around with something in this area that I wanted to share. To be honest, I am not sure if the concept is the right solution, but my hope is that some of you out there can possibly think about it and help me improve upon it. 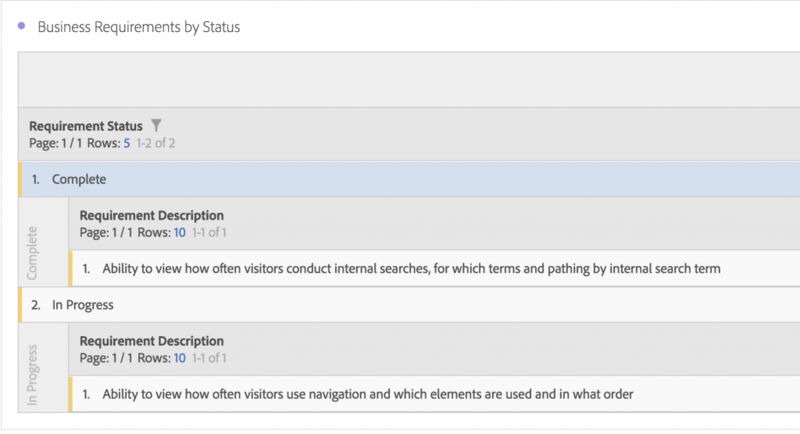 It has become abundantly clear that the future of Adobe Analytics is Analysis Workspace. If you haven’t already started using Workspace as your default interface for Adobe Analytics, you will be soon. Most people are spending all of their time in Analysis Workspace, since it is so much more flexible and powerful than the older “SiteCatalyst” interface. 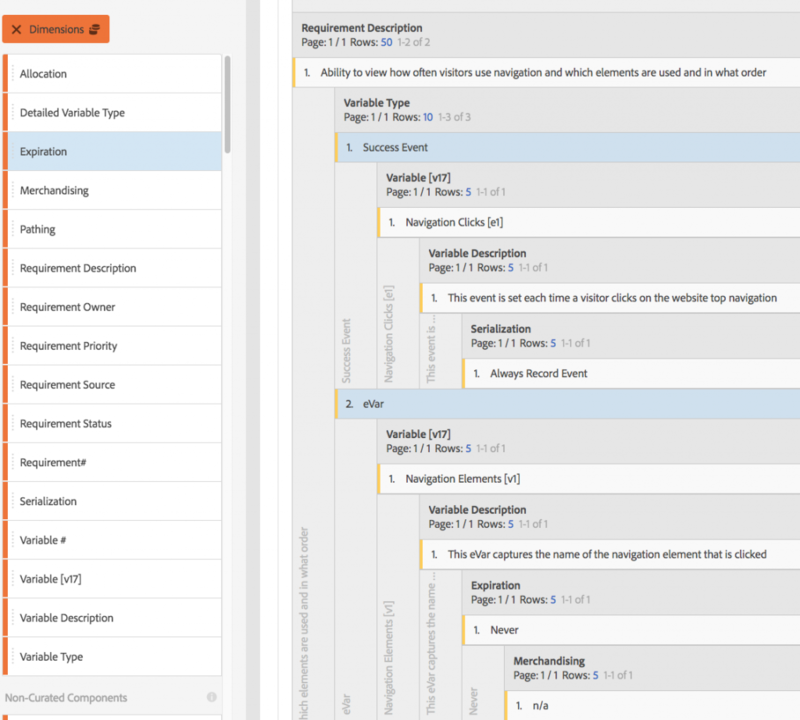 This got me thinking… “What if there were a way to house all of your Adobe Analytics business requirements and the corresponding Solution Design as a project right within Analysis Workspace?” That would put all of your documentation a few clicks away from you at all times, meaning that there would be no excuse to not know what is in your implementation, which variables answer each business requirement and so on. 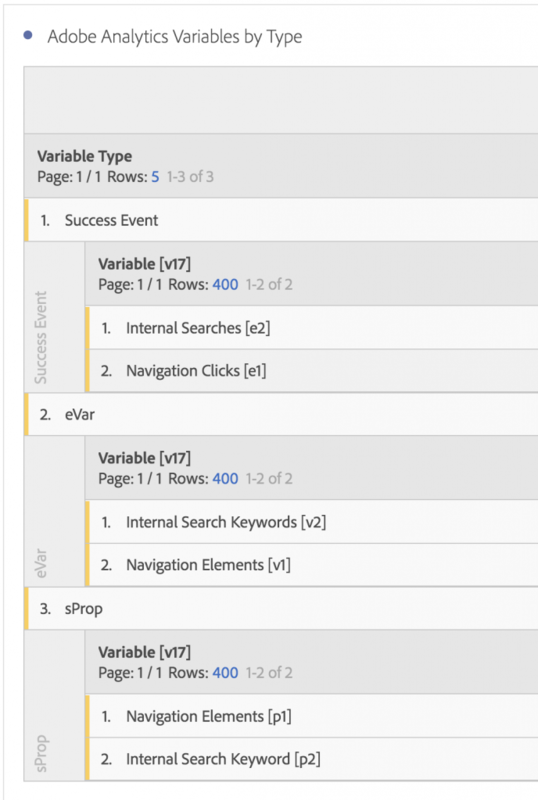 The first Workspace panel is simply a table of contents with hyperlinks to the panels below it. The following will share what is contained within each of the Workspace panels. Granted, it isn’t as elegant as seeing everything on an Excel spreadsheet, it is convenient to be able to see all of this detail without having to leave the tool! And maybe one day, it will be possible to see multiple items on the same row in Analysis Workspace, which would allow this solution to look more like a spreadsheet. I also wish there were a way to hyper-link right from the variable (report) name to a new project that opens with that report, but maybe that will be possible in the future. So what do you think? 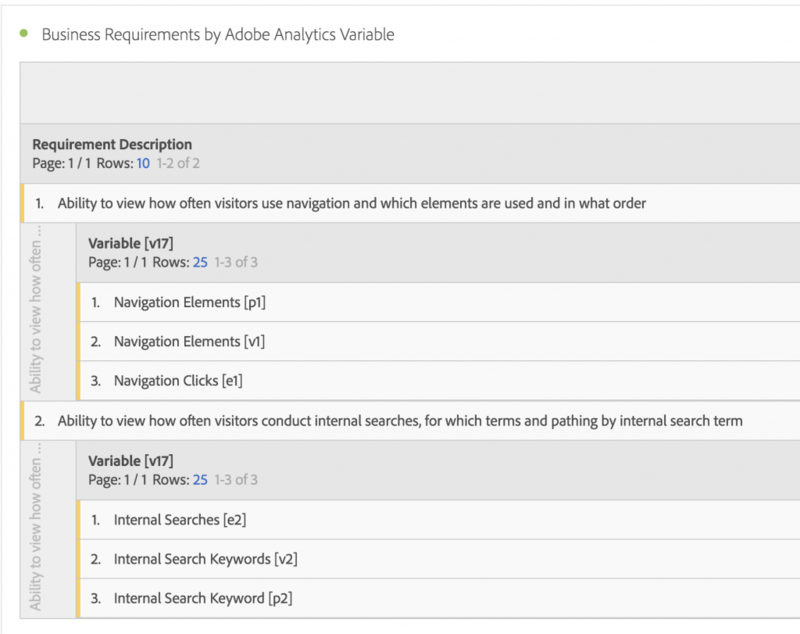 Is this something that your Adobe Analytics users would benefit from? Do you have ideas on how to improve it? Please leave a comment here…Thanks! P.S. 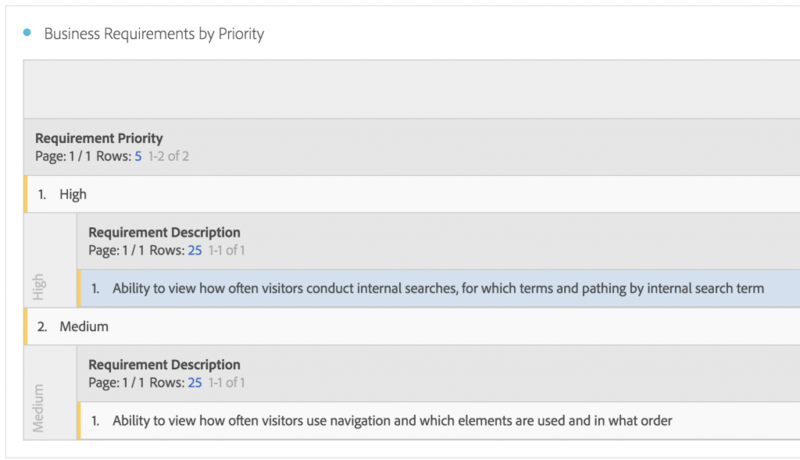 To learn how I created the preceding Analysis Workspace project, check out Part Two of this post. wow thats amazing concept. Thanks for sharing Adam. I am wondering how did you create those variable in workspace ? I first thought those could be segments named with variable description. but i can see they are real prop/evar. This is a really cool use of the tool and I think it would be very useful. Thanks for sharing your knowledge and expertise! Hi Adam – I have the same question as Pradeep. How did you get the dimensions like “Requirement Description” in there. Are those classifications? Otherwise, I like the concept of being able to do this right in workspace and agree with you that documentation is a common gap! Very cool idea ! I see a lot of potential. I see a limitation though : How could we have these dimensions in a Report Suite with actual data? 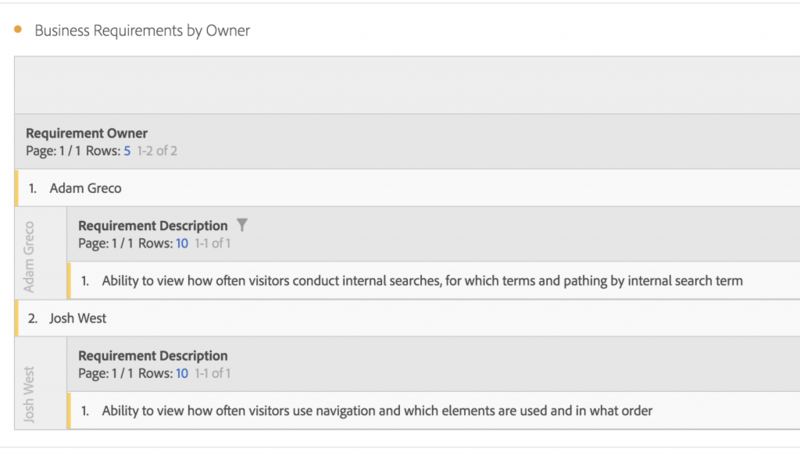 In your example you used a dedicated report Suite only filled with the data from your data source, it would be great to have such dimensions and use them in an actual report suite. But oh boy, I can’t imagine the work it would represent (and most likely the extra number of server calls too).